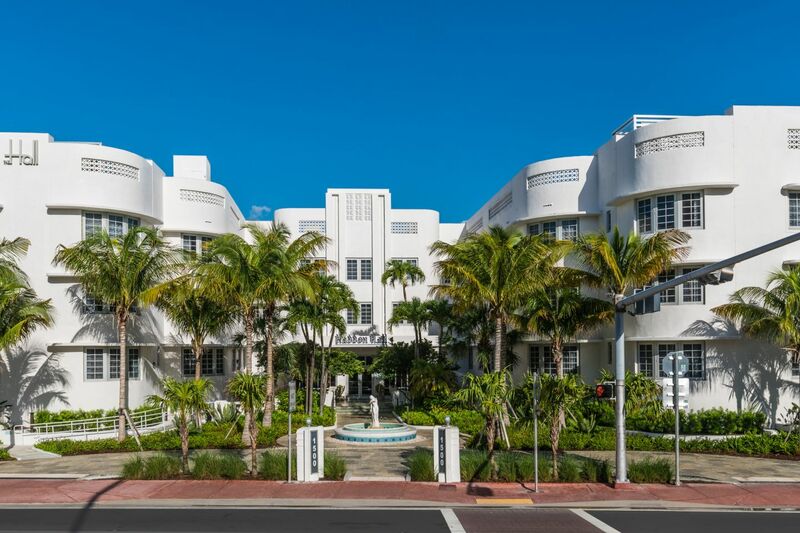 An art deco revival in Miami Beach. 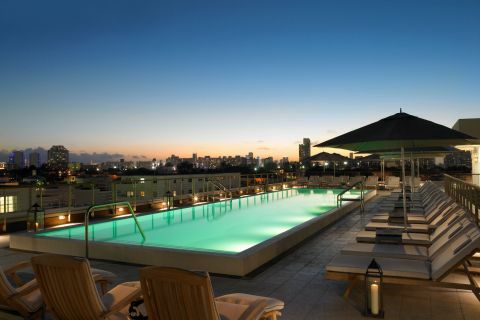 Miami famously lures visitors with its diverse culture, sunny beach, and vibrant nightlife. 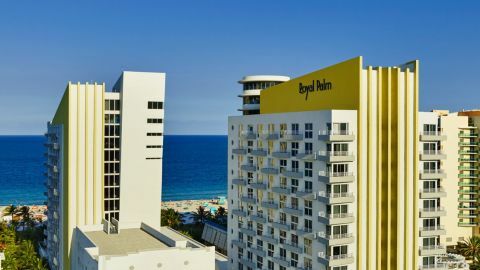 The Hall South Beach is uniquely positioned to deliver all three from its prime location in the Art Deco District. 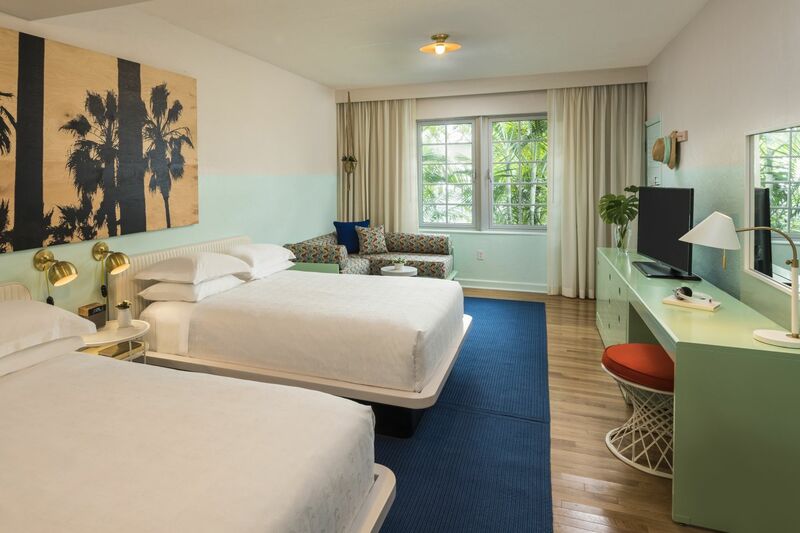 Designer Robert McKinley masterfully updated the 1940s edifice by adding fresh interiors that reflect Miami’s bright, subtropical environs. 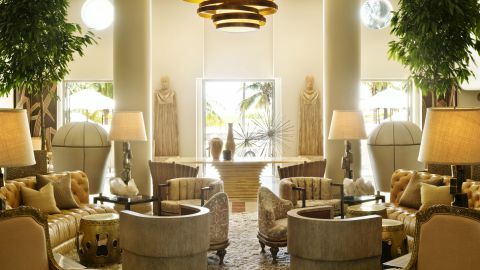 A clean palette of pastels and whites set a stylish beach club tone, refining the in-house collection of reclaimed woods and custom furnishings. 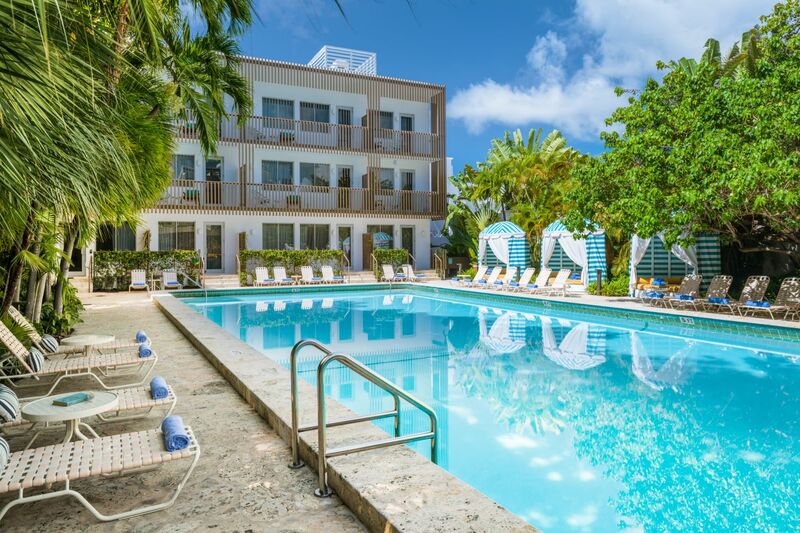 Taking full advantage of its oceanside real estate, the olympic-sized pool leads directly out to a private stretch of pristine beach. 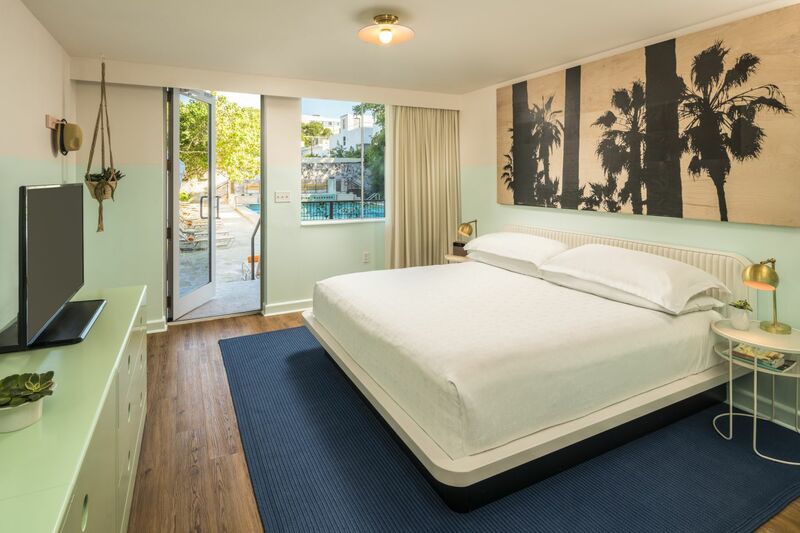 That is, if guests decide to go that far. 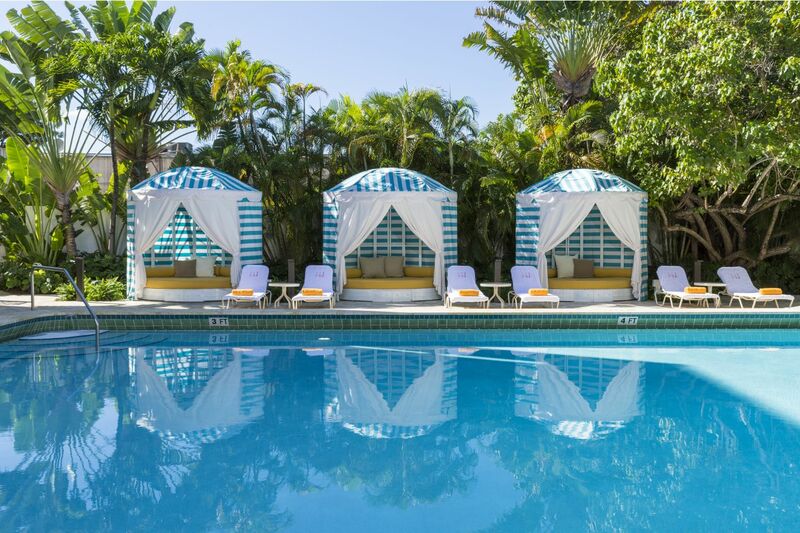 Some simply opt to wile away the afternoon poolside, lounging in plush, oversized cabanas shaded by thick fronds of coconut palm trees. 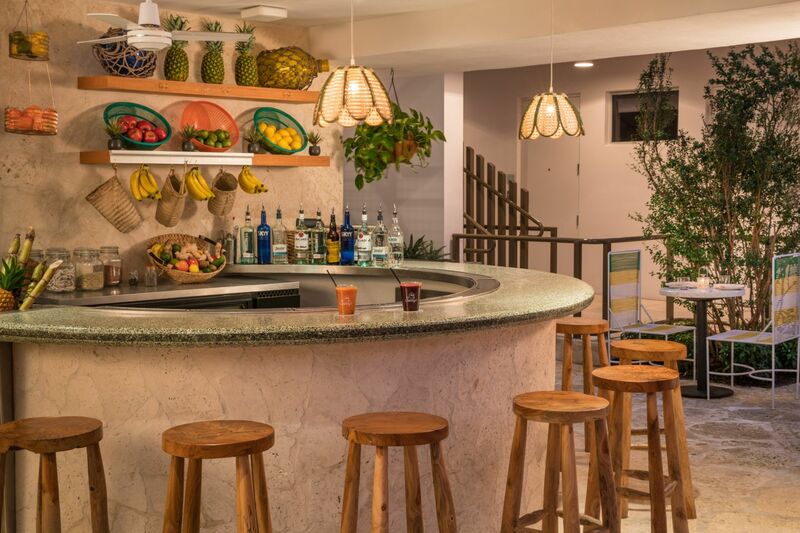 The casual vibe continues at Sunny’s, the hotel’s on-­site eatery where shorts and sandals pass muster and Caribbean fare is served hot. 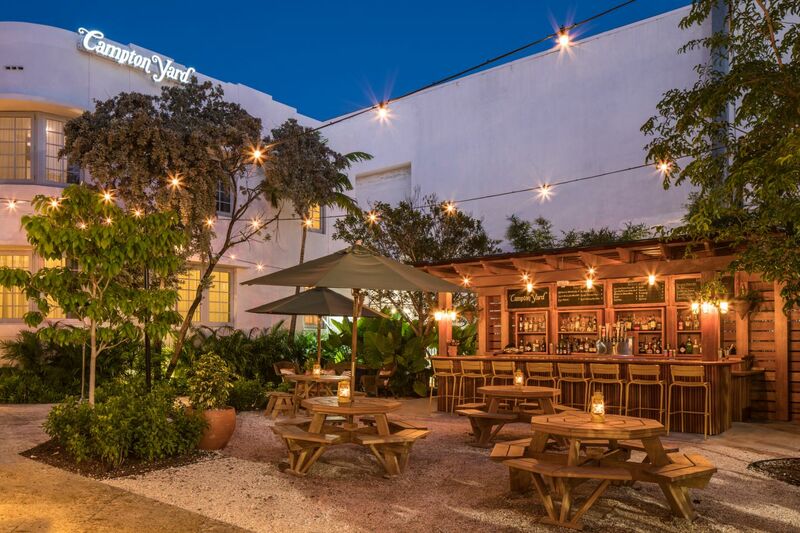 By nightfall, guests retreat to Campton Yard, the communal backyard hangout which is home to a mythically massive Banyan tree. From its branches hang bell­-shaped woven lanterns, which sway gently in the ocean breeze, casting pools of golden light over the carefree crowd.